The Indian government has made a series of adjustments in the e-visa regime, “liberalising it further and making it more tourist-friendly” - Ministry of Tourism said in a statement. The changes include an increase in duration of e-tourist, e –business visa and multiple entry permits. In an effort to increase the number of foreign tourists and facilitate the process of e-visa, the government has decided to increase the validity of e-tourist and e- business visas from 60 days to one year with multiple entries. In case of nationals of US, UK, Japan and Canada, continuous stay during each visit should not exceed 180 days. In all cases no registration will be required. On e-business visa, continuous stay during each visit should not exceed 180 days in case of nationals of all countries who are eligible for grant of e-visa and no registration will be required if the stay is for less than 180 days. 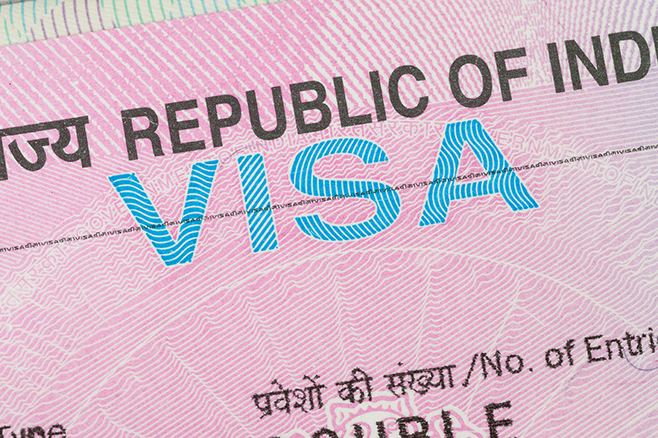 Duration of stay in India of e-tourist and e-business visas is maximum up to one year with multiple entries. The government has removed the existing restriction of allowing foreigners for a maximum of three times. Besides tourist and business e-visas, there are two more categories including medical, and conference.